If you have extra time to spare in the morning and are feeling a bit gourmet, omelets are an easy, filling way to start your day. Omelets are often misconceived as difficult to make, but all you really need is some patience and you’re on your way to Instagramming some very impressive breakfast pictures. Here, we take the traditional folded omelet filled with ingredients and mix the vegetables straight into the egg batter to make this dish even simpler. Feel free to substitute any veggies, add cheese and/or use whole eggs (just beat them in a separate bowl before adding them to the pan). 1. 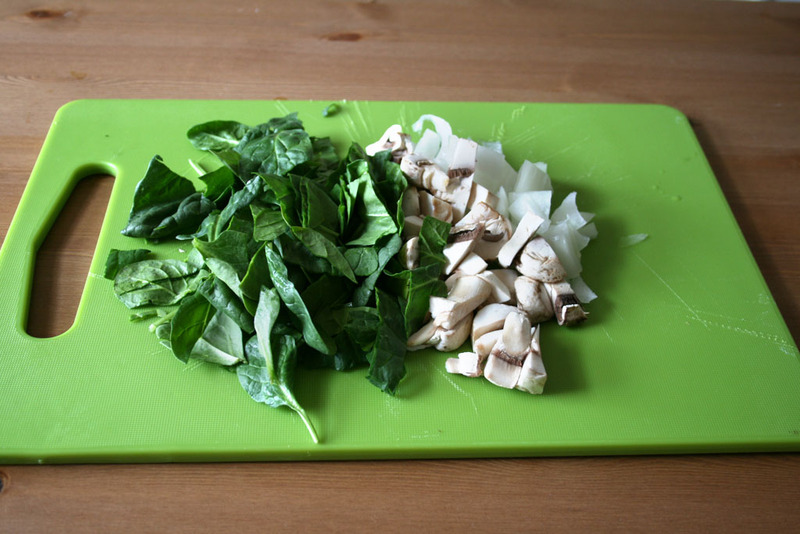 Chop vegetables into bite-sized pieces. 2. 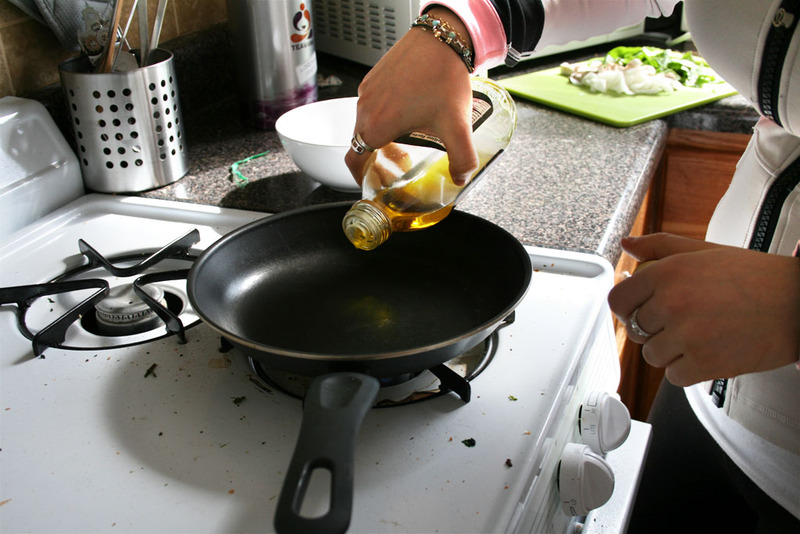 Add oil to a pan and heat on high for 2 minutes. 4. 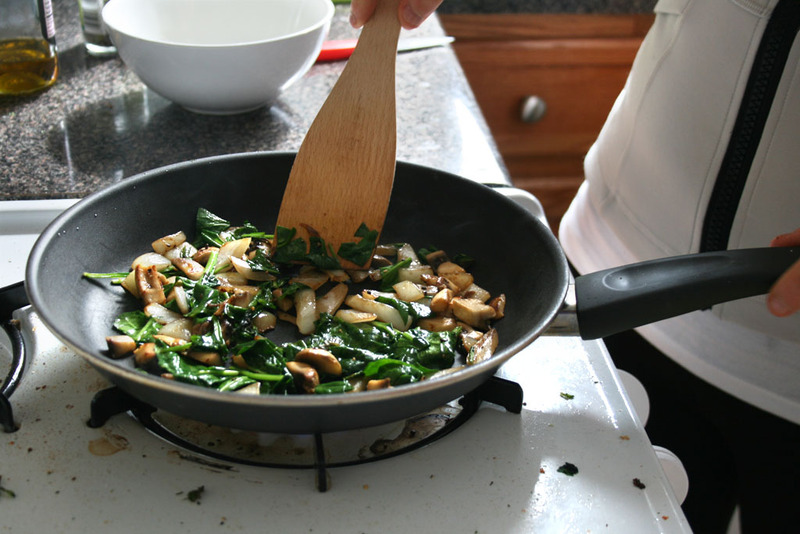 Spread out vegetables so they coat the pan evenly. 5. Turn heat down to low. 6. Beat egg whites in small bowl. 7. 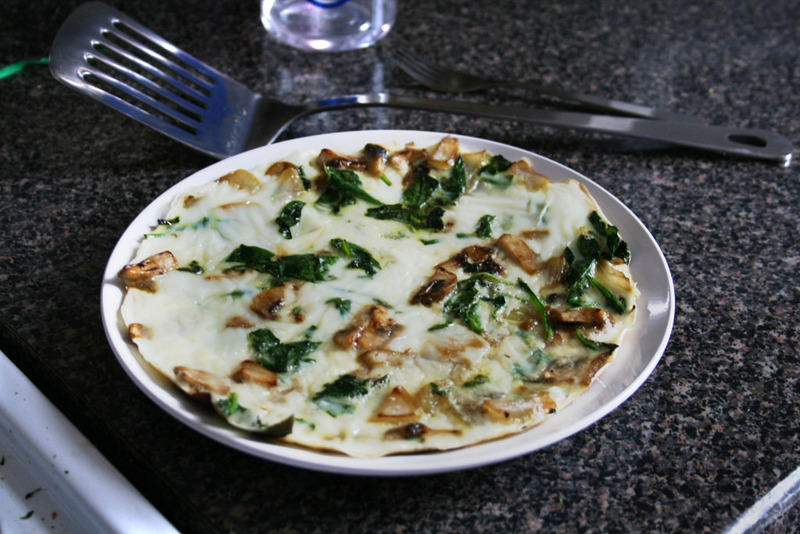 Pour egg whites over the veggies, just enough to fully coat them. Do not pick up or tilt the pan. Let cook for 5 minutes. 8. 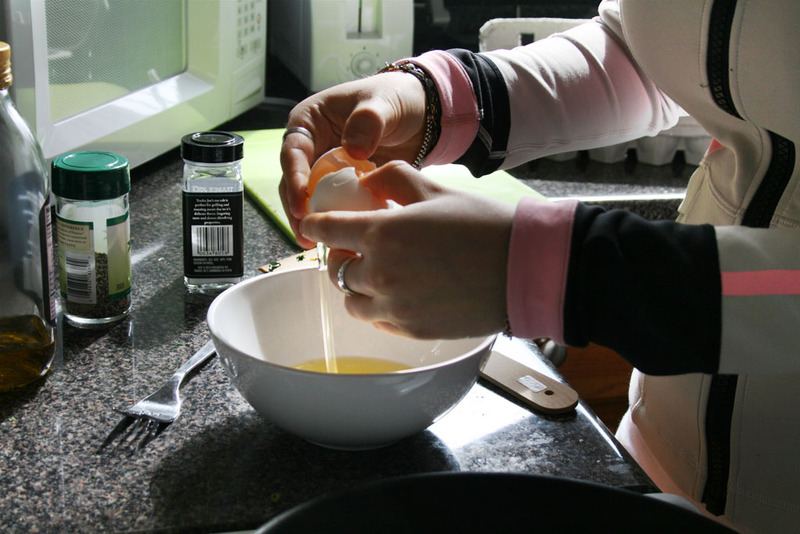 Once the sides of the egg begin to curl up, you may pick up and tilt the pan so that any uncooked egg in the middle of the pan gets to the sides. Let cook until the edges begin to curl up again, about 12 minutes. 9. 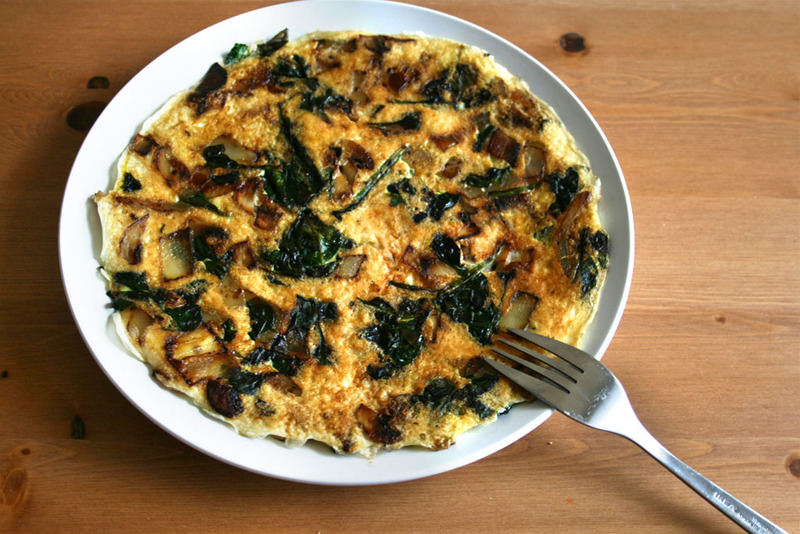 Once the omelet has small bubbles in the center, take a fork and make sure that the omelet can be removed from the pan. 10. Slide omelet off onto a plate, using a spatula. 11. Flip the omelet back onto the pan. 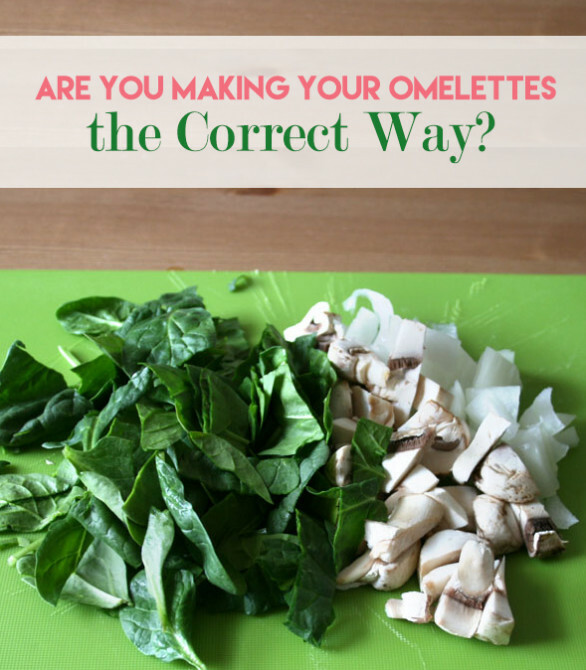 The key to flipping the omelet is speed, so don’t hesitate! 12. Let omelet cook for another 4 minutes. Slide back onto plate and enjoy.